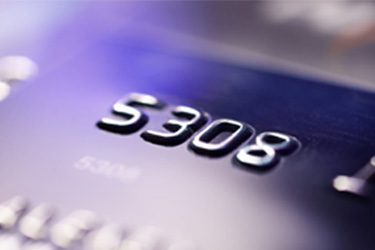 Life without a credit card is almost impossible. Apart from helping you out in emergency situations or when you need to purchase high priced items unexpectedly, it can help you create a good credit record for when you need to apply for a bond or financing for a car. It gives you the freedom to purchase items now, but pay for them later. And while this can be a great help in certain situations, if you don’t have the discipline to keep your balance at a level that you can manage, you can get yourself into negative debt that reflects a poor credit record. Here are a few tips around How to Make 2018 Your Year of Financial Liberty, while managing your credit card wisely. Just as you would make regular payments for important bills such as Business Insurance or your bond, making monthly payments to your credit card on time reflects well on your credit record, proving your ability to pay back your minimum payments on your debt. Late payments can affect you negatively in a number of ways. It will firstly reflect poorly on your credit profile as you are unable to prove you can pay back your debt and, secondly, you may incur penalty fees. If you are unable to meet your monthly payments contact your relevant bank to find an alternative solution. Buying disposable items such as food or petrol on your credit card raises the question of whether your salary can cover your basic needs. These smaller items should be paid for with your salary to avoid paying interest on them. If you reserve your credit card for situations where you need to pay a larger than normal sum of money upfront, such as for a big car service, fixing a structural part of your home due to damage, or replacing your fridge or oven unexpectedly, you will have more credit available. If your bank rewards you substantially for credit card use, place the money you would have spent on food and petrol onto your credit card, and then pay for those items with your credit card. This way you won’t be spending money that you don’t have on disposable items. A monthly budget need not only be checked at the beginning of every month. Regularly checking your budget will help you keep in control of how much you have already spent, and how much you have left to work with. It can be easy to forget what you used your credit card for at the beginning of the month; checking up on what you have spent might just prevent you from making another big purchase that might be better done the following month. Using your entire credit limit reflects poorly on your credit profile as it shows you may possibly be living beyond your means and cannot afford credit. While at times it may be difficult to keep your credit card usage low, try as best as possible not to use as much as what you’ve been given. Apart from increasing the amount of interest you pay, a credit card spend which is as high or higher than your income reduces your credit score to a more negative status. If you find you’re reaching your credit limit more often than you’d like, speak to your bank about reducing your limit for more control. While these aren’t the only ways to manage your credit card they certainly are the basics that everyone with a credit card should master. From making regular payments, and using it for big ticket items, to checking your budget throughout the month, and staying within your credit limit, you can manage your credit card and credit score effectively.